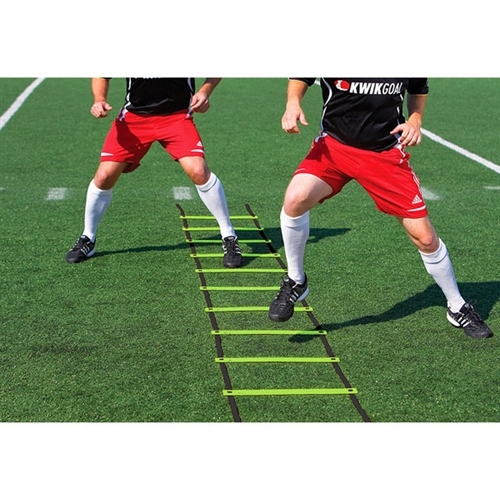 Our Kwik Goal Agility Ladder Hi-Vis - Green, is a great training tool to add to your workout. This ladder is part of the TwiLite Training family of products, improve your speed and reaction time with this ladder. KwikGoal Lifetime Guarantee. Our Kwik Goal Agility Ladder Hi-Vis - Green, is a great training tool to add to your workout. This ladder is part of part of the TwiLite Training family of products. Helps improve your speed and reaction time with this ladder. KwikGoal Lifetime Guarantee.